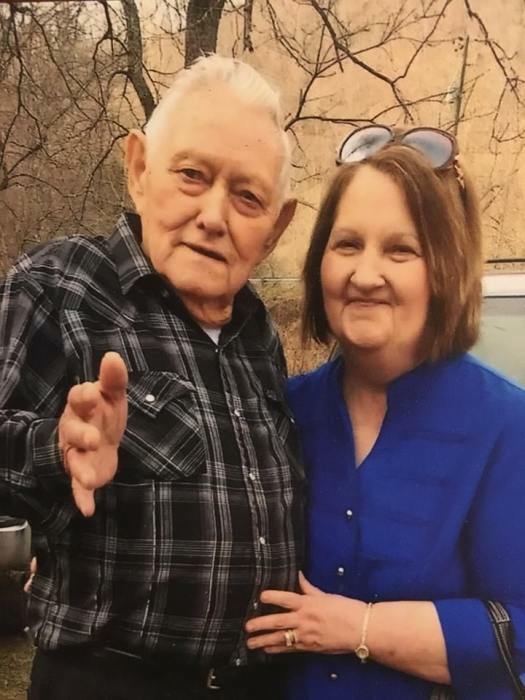 John Floyd Kirk, age 93, of Breeden, WV, passed away April 9, 2019 at Pikeville Medical Center in Pikeville, KY. He was born January 3, 1926 in Breeden, WV to the late Charley and Mexie Sammons Kirk. He was a member of the Golden Springs Freewill Baptist Church. In addition to his parents, he is preceded in death by seven brothers: Oscar Kirk, James W. Kirk, Earnest Ray Kirk, Fred Kirk, Albert Kirk, Franklin Kirk, and William Kirk, and three sisters: Mary McGrew, Della Kirk, and Dorothy Chafins. He is survived by his wife, Sharon L. Kirk of Breeden, WV, four sons: Joshua (Donna) Kirk and Justin Myers of Breeden, WV, Johnny (Evonna) Kirk of Crum, WV, and Jerry (Drema) Kirk of Ashville, OH, seven daughters: Kelly (Don) Chapman of Huntington, WV, Jennifer (Jason) Hager and Cozy (Rick) Workman, both of Breeden, WV, Eula (Dave) Murphy of Lyman, SC, Carol (Tom) Dempsey of Delbarton, WV, Lisa (Donnie) Canterbury of Lenore, WV, and Loretta (Freelin) Browning of Kiahsville, WV and one sister: Gladys Huffman of Columbus, OH. He is also survived by 19 grandchildren and 12 great grandchildren. Funeral services will be held on Sunday, April 14, 2019 at 2:00 PM at the Breeden Church of God in Breeden, WV with Ken Allen, Billy "Bear" Messer, and Jess Browning officiating. Pall Bearers will be Jason Hager, Justin Myers, Johnny Mack Kirk, Don Chapman, Joshua Kirk and Phillip Stroud. Burial will follow in the Kirk-Dent Cemetery. Friends may visit at the Crum Funeral Home on Saturday from 5 PM to 9 PM. Arrangements are under the direction of Crum Funeral Home of Inez, KY.